Learn the Russian alphabet and perfect your Russian accent with the right Russian pronunciation. The first step to learning Russian is to study its alphabet. 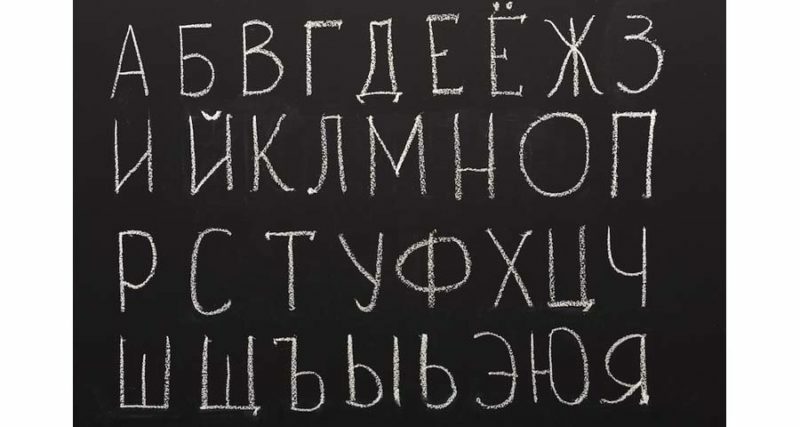 For many English speakers, the Russian alphabet can prove somewhat intimidating. In this section, we’re going to break down the Russian alphabet and make it much simpler and easier to learn. Let’s start with the first group, since it’s the easiest. This group is comprised of seven letters that look like English letters, but convey different sounds in the Russian alphabet. This group is comprised of thirteen letters. Some look similar to English letters, but all of these letters make sounds that are found in the English language. This group only contains six letters; their appearances are not common in English, and their sounds require more than one English letter to produce. It’s important to find the best way to speak Russian.Within the Russian language, consonants may be voiced or unvoiced. The difference here is also simple: voiced consonants are made by vibrating your vocal chords, while unvoiced consonants do not require any such vibration. The voiced consonants include the letters б, в, г, д, ж and з. The unvoiced consonants are п, ф, к, т, ш and с. These two groups of consonants from pairs because you pronounce them with the same position of the mouth and tongue as each other; the only difference is whether they are voiced or unvoiced. Voiced consonants become unvoiced before another unvoiced consonant or when they are final. The following consonants are always voiced: л, м, н, and р. These consonants are always unvoiced: х, ц, ч and щ. In addition to being voiced or unvoiced, consonants may be hard or soft. Hard consonants are pronounced normally, while soft consonants are “softened” when the tipe of the tongue touches the hard palate in your mouth. This might sound confusing, but it’s not. An example of hard and soft consonants can be found in English. Say the following words out loud: thumb; them. Did you just notice that the “th” in “thumb” is a bit harder than the “th” in the word “them”? The consonant sound in “thumb” is hard, and it is pronounced normally. The consonant sound in “them” is softened because your tongue is touching the hard palate inside your mouth when this word is pronounced. Now that you understand the concept, let’s see how it’s applied to the Russian alphabet. These Russian letters are always hard; they are never softened by a vowel, and they are never followed by the letter ь to indicate that they may be softened. Generally speaking, the letter ъ only following prefixes and before vowels. Use of this letter shows that the consonant is not being softened by the vowel it follows. Understanding how and where to stress a certain syllable in a Russian word can be very confusing. There are few patterns or rules that govern word stress in the Russian language. Long story short, like when you learn any foreign language, you’re going to have to practice, learn and memorize stress on a case-by-case basis. To make things simpler, in this book, we’re using stress marks to help you better understand how to pronounce various words. Note that in written Russian, these stress marks are never used, and appear here purely for the purposes of instruction.